After the grand success of the last EUPSA Congress in Paris this year, it is our privilege and special pleasure to invite you to the 20th Congress of European Pediatric Surgeons Association that will be held in Belgrade, Serbia, from 12th – 15th of June 2019. Privilege, because EUPSA Congress, as the biggest international scientific pediatric surgeons meeting is always a great opportunity to pass on knowledge, begin collaborating on new projects, build new connections and learn about new cultures and nations. We are looking forward to the exciting meeting in Belgrade, which is a picturesque and lively city. 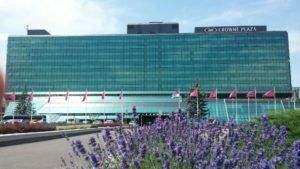 The event will be held at Crown Plaza Hotel in New Belgrade, located in the business district with unique facilities that offers hotel, conference and spa. The hotel is centrally located 10 minutes from the downtown and therefore it’s very convenient to get to and from any part of the city. Belgrade, a city of contrasts, is a bustling European capital with diverse architecture, rich cultural scene, vibrant night life and well known Serbian kitchen. With Serbia being located at the crossroads between East and West, its cuisine has elements from different cooking styles across the Middle East and Europe which allowed it to develop its own unique gastronomy. There is a great deal of social events for everyone and Belgrade is known for its fun-loving spirit, so please bring your spouse with you! See old friends and make new acquaintances. On a personal note, I am sure that this will be a great reunion of West and East, and we can’t think of better place for that than Belgrade. We promise that it will be an outstanding educational week which will provide a forum for the exchange of scientific ideas for all pediatric surgeons. We are looking forward to welcoming you in Belgrade and hope that you will enjoy the Congress and the Serbian hospitality.